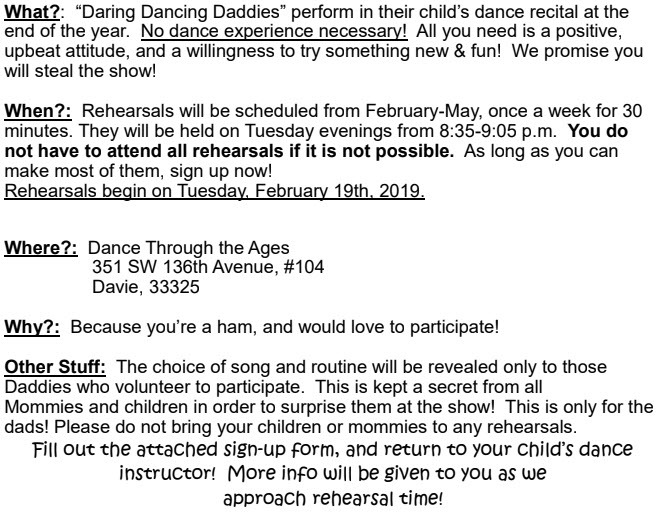 Calling All Daddies… Let’s Dance! Do you love to be in the spotlight? Want to do something special with your child? We Guarantee it will be worth it!